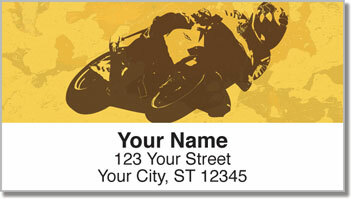 Some people have their favorite kind of bike - from cruising hog riders to racing sport bikes. But then some people just love motorcycles and that's all there is to it! No matter what you ride, most bikers do it for similar reasons. Bumps on the road are like waves underneath a mighty boat. The world rushes by you and the wind fills your ears. It's not a just another mode of transportation, it's an experience! 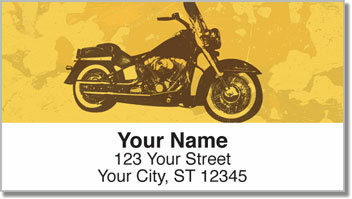 These address labels feature a collection of different motorbikes that are the perfect way to top off your mail. 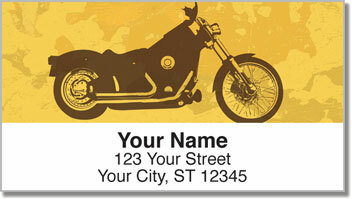 Use the convenient self-adhesive backing to simply stick them on all your letters and packages. 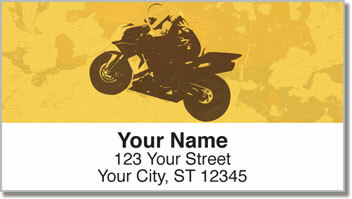 Order your own Motorcycle Mix Address Labels from CheckAdvantage now! You'll also find a matching personal check design.